﻿ Who are the Baker Family? Who are the Baker Family? From what we can gather from the current released trailers and Gameplay for Resident Evil 7 , for the most part, the game is set in a derelict plantation mansion in the southern US state of Louisiana. This house appears to belong to The Baker Family, a family of twisted individuals who get their kicks from abducting people, keeping them hostage and torturing them. The Baker family seem to have strict family values as they always refer to their victims as ‘Part Of The Family’ they also get a sick pleasure from feeding human entrails and offal to their victims. 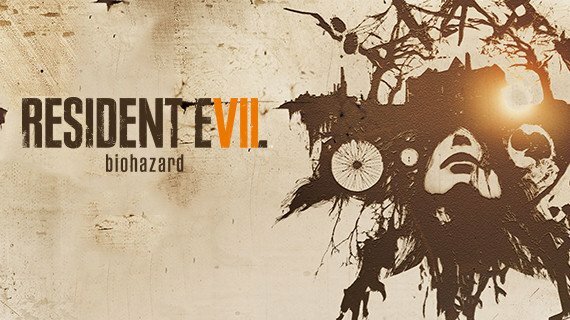 From the recent video and information released about Resident Evil 7 we can only assume that The Baker family may have been performing their own viral experimentation. They seem to have inhuman powers such as enhanced strength which typically have been the result of a man made virus of some sort within the Resident Evil franchise. They also have several ‘Moulder’ monsters locked up in the mansion's basement, which again we can only assume to be failed experiments. Around 2014 the Baker Family disappeared from their southern community life, rumour has it the family had been killed in some way. The next few years saw very brief sightings of the family which led people to believe that their Louisiana mansion was haunted. June 2017 saw TV producer Andre Stickland lead a team of paranormal investigators (known as the Sewer Gators paranormal investigation team) to the Baker household. The producer and his crew were supposedly murdered by Jack and Marguerite Baker and no one has stepped into the house since. So who are the members of The Baker Family? Next to no information has been discovered about ‘Aunt Rhody’ except one video which features an old woman in a wheelchair humming the tune “Go Tell Aunt Rhody” before the video suddenly cuts. No one knows the name of this woman hence why she has been dubbed Aunt Rhody. The video can be viewed below. The Father Figure of the Baker family. Jack Baker was last seen on a video tape of found footage recovered from the Baker House hold after Sewer Gators incident. It looked as though Jack had acquired several facial deformities. The son of Marguerite and Jack Baker, Lucas has been dubbed as the ‘Bad Seed’ of the family. Not much else is known about Lucas at this time, but speculation seems to suggest he may be the root of the Baker Family’s decline into insanity.